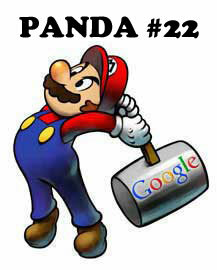 Google Panda Refresh #22? Did Google Just Update? I am seeing lots of chatter and discussion around another Google update that started around Friday, November 16th. It may be a Panda refresh or some other type of update. But the discussion seems to be implying there was a small Panda refresh this past Friday, November 16th. Mozcast doesn't show much of a shift but SERP Metrics does show a small uptick in changes at Google. If there was a Panda refresh, that would only put about two weeks between Panda #21 and this Panda refresh. I have emailed Google for confirmation on this update and will update you all when I have word back. Update: See my updated post named Google Won't Confirm Weekend Update But Says Panda Coming Soon.